Sorry, this job expired on Mar 6, 2019. Below are other jobs that may be of interest to you. Zahav is hiring bussers/support staff to join our team. 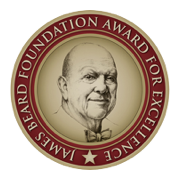 Qualified applicants will join a team of committed bar staff, servers, support staff and managers with a steadfast commitment to the highest hospitality standards and product knowledge in a fast paced, fine dining atmosphere. The right candidate is both professional and personal, with an impeccable work ethic and a team player attitude. This is a 5 shift per week position, and weekends are mandatory. Zahav is a part of CookNSolo restaurant group, with sister restaurants that include Abe Fisher, Dizengoff, The Rooster, Goldie, and Federal Donuts. Bussers are tipped out by servers and receive a portion of cash tips at the end of each pay period. 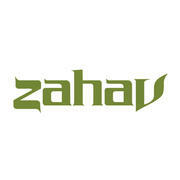 Zahav is a modern Israeli restaurant that brings the authentic flavors of Israel's cultural heritage to Philadelphia. The name Zahav means "gold" in Hebrew, and is a reference to Jerusalem, which has been a cultural crossroads for thousands of years. The design of the restaurant echoes the hidden courtyards of Jerusalem, with golden limestone floors and walls, hand-carved tables, and soaring ceilings. The soul of Zahav is the laffa bread, baked to order in our wood-fired Taboon; the creamy and nutty hummus that will transport you to Jerusalem; and the sizzling skewers of meat grilled over hardwood charcoal. Zahav offers a small plates menu that encourages guests to sample the large variety of cultural influences on the cuisine of Israel - from Eastern Europe to North Africa and from Persia to the Eastern Mediterranean. Guests can relax and enjoy the bounty of the Israeli table with a cold Lemonnana, a cocktail from our award-winning list, or a bottle of boutique Israeli wine from one of the largest selections outside of Israel.